Whether you are planning a long summer vacation or a one night stay, Huron County has a Motel, Hotel or Inn to suit. Be sure to visit our sandy beaches, unique shops, museums, art galleries, hiking trails, theatres, golf courses and the many other attractions and recreational opportunities during your stay with us! 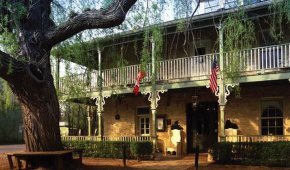 A turn-of- the-century inn, featuring casual country dining room, a friendly inviting pub and 4 bed & breakfast rooms. Number of rooms: 4 (B & B). Guest capacity: 14. Open year round. Reservations preferred. Liquor licence. Dining on premises. Conference facilities. Rates: $115 - $155. 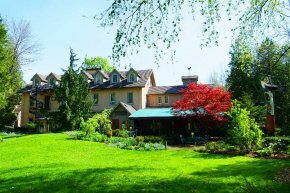 Ashwood Inn is offering 22 newly renovated guest suites, 19 acres of trails, an indoor pool, beautiful private sandy beach. We are walking distance to marinas, shopping and dining in the village of Bayfield. Nearby activities include live theatre (Stratford, Blyth, Huron Country Playhouse), golfing, wakeboarding, hiking, cycling, horseback riding, fishing, sailing, cross country skiing and horseshoeing. 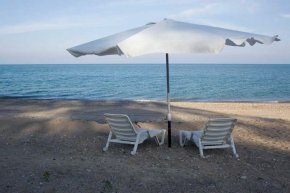 Between Grand Bend and Bayfield, luxury, beach front property overlooking Lake Huron. Nine guest rooms, ensuite bathrooms, indoor saltwater pool, whirlpool, infrared sauna, fireplaces, three guest sitting rooms, guest kitchen & BBQ, full breakfasts, balconies, patios, sandy beach, beach-level hammocks, chairs & firepit, spectacular sunsets, pre-booked on-site spa services available. Guest capacity: 20. Year round. Smoke free. No pets. Reservations preferred. Rates 5-5 (May to Oct); 5-5 (Nov. to Apr). Bayfield’s only lakeview resort with private beach and sunsets. 1, 2, 3 bedroom cottages complete with kitchen, fireplace, BBQ & T.V. Nearby shopping and dining, golf courses, horseback riding and some of the best stage theatre in Canada. 14 cottages (30 rooms). Guest capacity: 80. Smoke free. Salt water pool. Wireless internet. Pets are welcome. Open year round . Reservations are preferred. Rates: $135 - $240 per night. Located in the heritage village of Bayfield on the shores of Lake Huron. CAA 4 Diamond dining . Locally sourced gourmet farm to table cuisine, luxurious amenities and accommodations. Close to Stratford and Blyth Festival Theatres, Huron Country Playhouse, blue flag beaches, golf, hiking, cycling, fishing, horseback riding, sailing and snowshoeing. 26 guest rooms, taproom and fine dining. Open year round, reservations required. 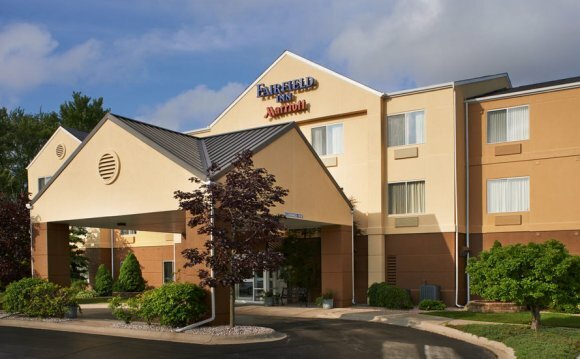 Licensed, conference facilities, partially wheelchair accessible, pets welcome in specific rooms. In season and off season rates from 9, double occupancy. Across from the Blyth Festival, each room has A/C, cable TV, coffee makers, am/fm alarm clocks. One room has jacuzzi tub, fireplace. Walking trails, shopping, spa close by. Rooms are accessible to dining and pub facilities. Number of rooms 7. Guest Capacity: 24. Reservations preferred but not required. Open Tuesday-Sunday. Rates $79.99 to $159.99 plus HST. Located 1.5 miles/2.4 km south of Clinton on London Road (Hwy #4). One storey, quiet, clean rooms in a rural setting. Air conditioning, cable television, fridges and microwaves. Number of rooms: 15. Guest capacity:43. Reservations preferred, but not required. Rates: $60-$135. No Pets.